Navroze Mehta, Founder and CEO, has 15 years of experience in developing early stage medical devices. Most recently he was Managing Partner of MDI Partners LLC (www.mdipartners.com) where he used a unique innovation and development framework to bring devices to market. One of those spin outs is ClearSpec LLC (www.clearspecmedical.com). 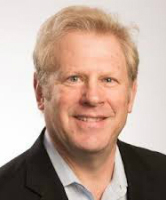 Prior to MDI Partners, he was the Founder and CEO of NovaVision Inc (www.novavision.com), a venture-backed company providing neurostimulation devices to restore vision in stroke and traumatic brain injury patients. Before that he was President and CEO of Skinstore (www.skinststore.com) a successful B2C Company. Navroze is a member of Young Presidents Organization (YPO), past chair of the Americas Gateway Chapter, and served as Regional Chair of the Economic Development Network. He is also an active member of the Ashoka Support Network (www.ashoka.org), a leader in the field of social entrepreneurship. Navroze also co-founded Mela Artisans Inc. (www.melaartisans.com) with his daughter Sonali Mehta Rao. Mela Artisans is a novel social for profit enterprise that was formed to create a global marketplace for artisans worldwide with a goal of preserving the livelihood of artisans. 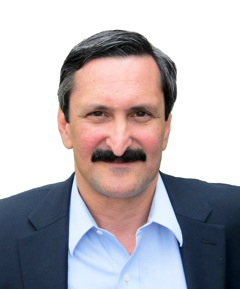 Navroze also served on the Board of Directors of Mission Markets Inc., a company that is focused on connecting impact investors to mission-focused organizations. Navroze received an MBA from Syracuse University and a Bachelor of Commerce degree from Sydenham College at the University of Bombay, India. Mr. Zack has been a C-level Life Sciences Executive for 20 years, spanning Biopharma to Diagnostics, from start-up to blue chip global companies. He has a strong track record of success and has built commercial organizations from “scratch”, took from inception to launch over a dozen products in his career, added to top and bottom line results with successful business development spanning Europe, Asia, Africa, and South America, and has played a significant role in capital formation. Mr. Zack’s particular domain expertise includes infectious disease, oncology, and endocrine diagnostics, regenerative medicine, wound healing, cardiovascular, neurology, and periodontal medicine. Mr. Zack’s most recent corporate role was as Senior Vice President Diagnostics at Metabolon. Other companies where he had senior leadership roles included OraSure Technologies (Executive VP Sales and Marketing), OraPharma (Senior VP Sales and Marketing), Advanced Tissue Sciences (General Manager), and Ciba-Geigy (now Novartis, Executive Director). Mr. Zack is the Principal of Zack Consulting Services, which advises early and mid-cap domestic and international companies, at the C-level, with business strategy, opportunity assessments, commercialization plans, product development, business development, and capital formation. Mr. Zack has a BA in Biology from Colgate University, and an MBA from St. John’s University. Dr. Fatatis is Professor of Pharmacology and Pathology at Drexel University College of Medicine and Co-Leader of the Prostate Cancer Program at the Sidney Kimmel Cancer Center of Thomas Jefferson University in Philadelphia. He is an experimental oncologist with 20 years of experience in basic and translational cancer research. 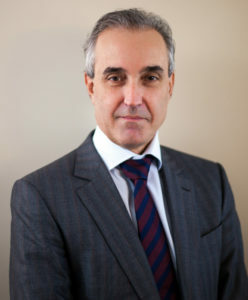 Dr. Fatatis’s work is focused on the identification of the cellular and molecular factors dictating the clinical progression of prostate cancer into its more aggressive form, with the ultimate goal of identifying diagnostic markers and novel therapeutics for the effective management of patients with metastatic disease. A major project in Dr. Fatatis laboratory led to the discovery that targeting the alpha Receptor for Platelet-Derived Growth Factor (PDGFR) with IMC-3G3, a humanized monoclonal antibody generated by ImClone Biosystems, reduced bone metastases by 70% in pre-clinical models. Eli Lilly and Company is currently conducting Phase-II clinical trials worldwide with this antibody, now renamed Olaratumab, for several solid tumors including advanced prostate adenocarcinoma. More recently, Dr. Fatatis has obtained conclusive evidence that a relevant fraction of prostate cancer cells in skeletal metastases lack expression of the Androgen Receptor (AR) and therefore their number and clinical progression cannot be monitored by measuring Prostate Specific Antigen (PSA), which is directly under the transcriptional control of AR. Dr. Fatatis earned his degrees in Italy and was trained at the NIH and University of Chicago prior to joining Drexel University. 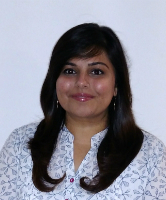 Senior Analyst, Ms. Kinjal Bhavsar brings to ProCare over 7 years of experience in design and development of biosensors, assays and medical devices. From 2011 to 2015, she held two positions at Shaily Engineering Plastics Limited, both as head of quality assurance and regulatory compliance. During her time at Shaily, she lead the team in development and manufacturing of life saving complex drug delivery devices. Kinjal previously worked as a scientist at Ohmx Corporation, designing and developing assays for detection of prostate cancer, diabetes and myocardial infarction. Prior to Ohmx, Kinjal worked at Capstone therapeutics to develop an immunoassay for AZX-100, a novel therapeutic peptide for smooth muscle relaxation and fibrosis, and for Chrysalin (Thrombin Peptide TP 508), a novel peptide for angiogenesis, revascularization and repair of dermal and musculoskeletal tissues. For her graduate work, she designed and developed a hand held biosensor for early stage detection of multiple sclerosis. Kinjal holds a M.S.E. and a B.S.E. in Bioengineering from the Bio Design Institute at Arizona State University.